In recent years I have been obsessed with the concept of creating better service delivery through the use of technology, be that cloud based software or improved systems structure, I have found that they go hand in hand. Significant productivity gains and ease of use “KISS”​ are the key to good software, bringing these benefits to market using Software As A Service “​ SAAS”​ is the best way, no setup cost to users gives them an easy IN, subscription based billing spreads the financial load across the total user base, savings be those tangible or intangible are realised immediately and organisation’s across divisions, States and even Countries are in sync with standardised well developed systems. 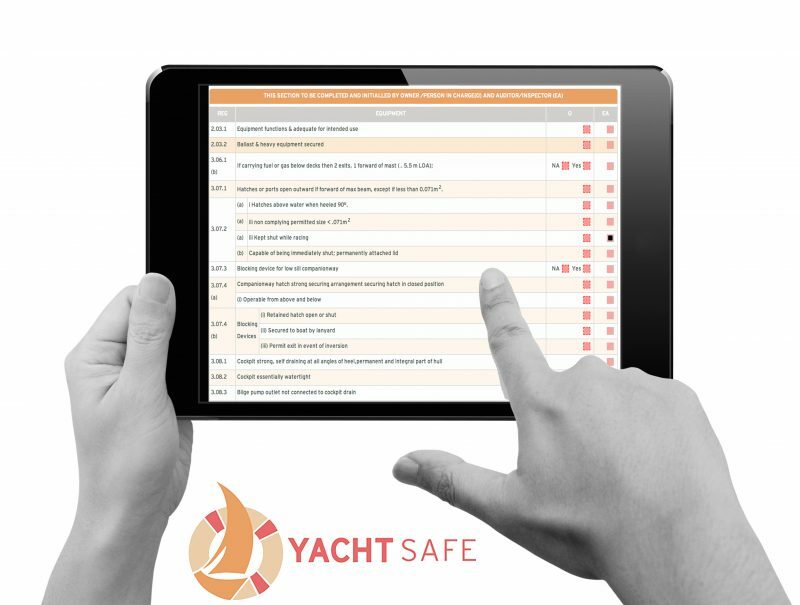 Having said that I am currently in the final stage of developing version 3.01 of some really special cloud based software”​ SAAS”​ Yacht Safe to manage the process of Yacht Safety Equipment Audits of Racing Yachts, matching the RRS “​ World Sailing “ racing rules of sailing, this sophisticated data base provides live real time management for Owners, Auditors, Yacht Clubs and Event Organisers. We have beta tested the Yacht Safe SAAS at the Royal Geelong Yacht Club over the past two years, our Owners and Auditors as well as the Clubs Sailing Administration have enjoyed a streamlined on-line and LIVE system of active documents, with real-time dashboard views, combined with sophisticated appointment scheduling, teamed with a continuous notification system keeping all the parties in the loop. Yacht Safety Equipment. We are also developing a module to assist large regattas and ocean racing events to manage this process in real time. If you have an interest in risk management and racing yachts feel free to get in touch with me, I would love to discuss the options available to you. Keep the breeze on your hip.